The Rails hosted Hoover/North for Senior Night on Thursday (1/3). Over the course of the evening, the guys raced hard and earned a solid victory of 110-32! 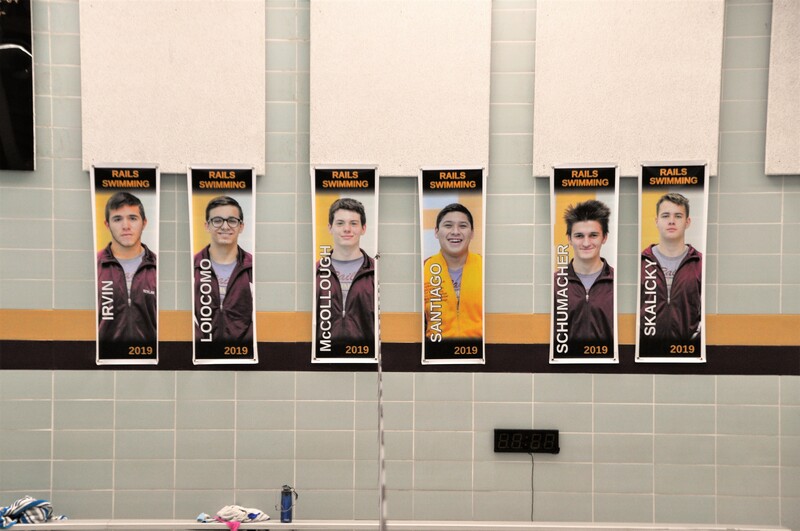 The evening marked a long-time tradition of recognizing the senior swimmers for all their efforts. It’s always a little bittersweet as the team prepares to say goodbye to long-time team members while also being excited about where life will take them next. The Rails are now 4-3 on the season and 2-0 against conference opponents. They have two dual meets left, both against long-time rivals (East and Roosevelt). Then they’ll turn their attention to the upcoming Metro Conference Championships and Districts, both of which have big implications for these seniors legacies and 2018-19 goals. Here’s a few highlights from the meet, with an extra focus on our seniors! Great job everyone! Below are few photos from the meet. More can be found on the team’s photo website (log-in required).